WASHOUGAL — Washougal, are you ready? 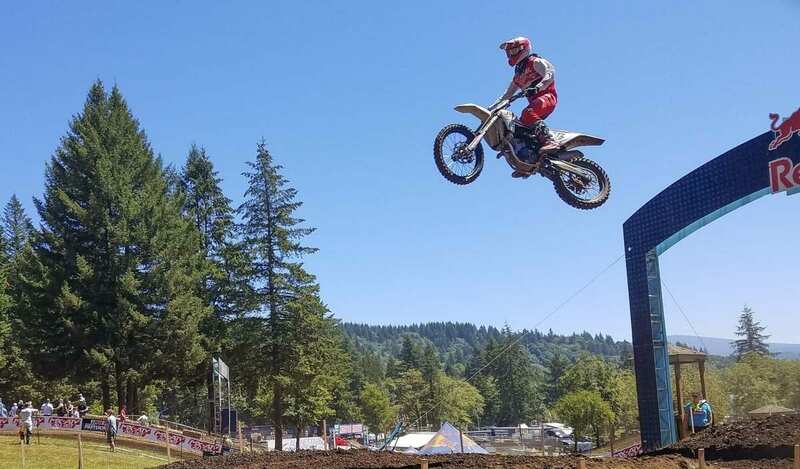 That’s the shout-out heard ‘round Washougal MX Park prior to Saturday’s big event which will attract roughly 20,000 race fans. But it also might be a call out to any east Clark County residents. You ready for this? The Motosport.com Washougal National, the ninth round in the 2018 Lucas Oil Pro Motocross Championship, has arrived. Race fans, residents, and even those who just love going to the Washougal River should be patient Saturday. All those fans have to get there, most using the two-lane highway from Washougal. Then all those fans go home after the motos. Note: Fans are reminded to get there early and have patience when leaving. Also, temperatures are expected to reach the 90s. Drink plenty of water. The park, with security, vendors, and volunteers, is ready for the biggest single-day spectator sporting event in Clark County. 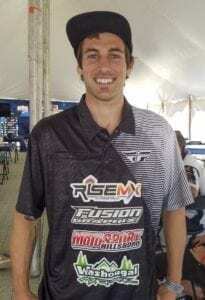 Weeck is an ambassador of sorts for Washougal MX Park. He also races with all the big names who will be in town for the series. For this weekend, he is kind of like a part-time tour guide, too, showing off the facility. Weeck grew up in Bellevue, then moved to California to train year round in motocross before returning to the Northwest. He now lives walking distance from his home track. He loves getting feedback from fans and fellow riders. Of course, those fans should also try to arrive early and be patient on the way home. That goes for anyone else out on Washougal River Road come Saturday evening into night. Traffic can get a bit hectic. Weeck has heard the stories, but he has no experience. “I wouldn’t know. I just go across the street,” he said. Just like that, he’s home, right next to the park that hosts a national sporting event every summer. The best rider from the Northwest in Lucas Oil Pro Motocross history is ready to ride again in Washougal on Saturday. Only this time just to have a good time. Five-time series champion Ryan Villopoto, from Poulsbo, Wash., will ride in an all-star race sometime during Saturday’s performances. “It’s always nice to race in front of hometown people who watched me grow up,” Villopoto said. “It’s a little bit different, though. It’s an exhibition, which makes it better. It’s low-stress, low-key, mellow. A series of injuries made for a bit of an early retirement for Villopoto. But he did win his last appearance at Washougal, in 2013. Heading into the ninth of 12 rounds in the series, Eli Tomac of Colorado has a small lead over Marvin Musquin of France in the 450 class points race. Aaron Plessinger of Ohio is in control of the 250 class and has won the past two events.